It has been a few years since Hollywood was shaken by the sudden death of Paul Walker, but one of the industry’s biggest stars still mourns over the loss. 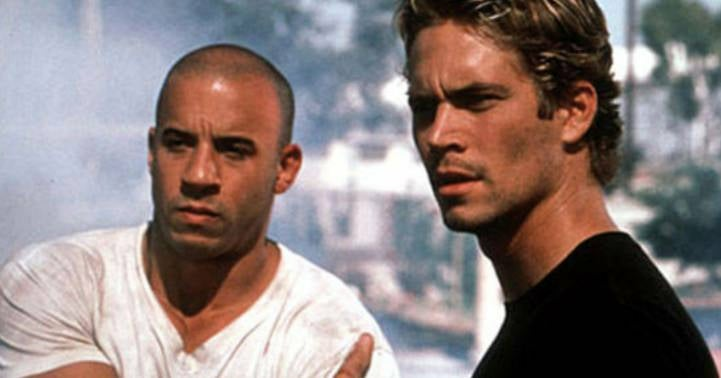 Having been co-stars for so long, Vin Diesel continues to feel the pain of Walker’s tragic passing, and the pain was only amplified when it came to The Fate of the Furious. The franchise’s eighth film is slated to debut in less than a week, but the Fast & Furious crew is not celebrating its premiere as usual. This time around, Diesel and his co-stars are making sure to pay tribute to Walker with each step they take. Recently, Diesel was interviewed by Entertainment Tonight, and it was there the star opened up about the difficult challenge of filming an entire film without Walker. "I&apos;m still reeling from the loss, the idea of of continuing along without my brother Pablo and what that felt like and the complexities of that," Diesel said, using a nickname he had for Walker. "If I ever had a concern or something, I would call him," he reveals. "And I don&apos;t have that call now and I don&apos;t have that person that&apos;s dreaming up the impossible with me." Other stars also spoke with the site about the unimaginable loss, and Michelle Rodriguez admitted the Fast & Furious films had to fundamentally change due to the loss. "We didn&apos;t want to jump in and pretend that everything&apos;s OK after such a big loss," she explained. "You kind of have to reinvent the thing and go dark before coming out of it." In the past, Diesel has talked about how hard he found the loss of Walker, and the action icon feared he couldn’t return to the franchise following his friend’s death. Are you excited for the eighth film in the Fast and Furious franchise? Let us know with your vote in the Anticipation Rankings below! Now that Dom and Letty are on their honeymoon and Brian and Mia have retired from the game — and the rest of the crew has been exonerated — the globetrotting team has found a semblance of a normal life. But when a mysterious woman (Charlize Theron) seduces Dom into the world of crime he can’t seem to escape and a betrayal of those closest to him, they will face trials that will test them as never before. Published on Mon, 10 Apr 2017 02:42:00 GMT, © All rights reserved by the publisher.